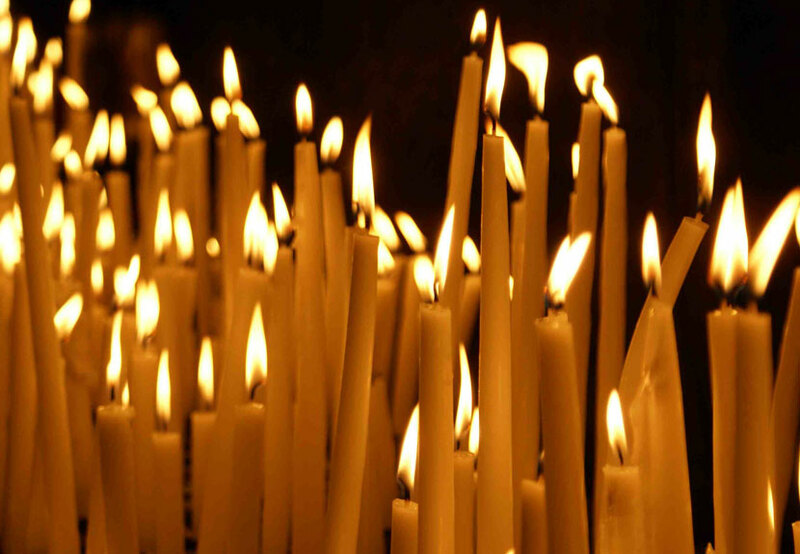 The Clergy, Executive Board, and Members of St. Sava Serbian Orthodox Church express condolences to the family of Danica Ostojic. Memory eternal. Danica Ostojic, age 92 of Crown Point passed away September 23, 2016. Danica was a member of St Sava Serbian Orthodox Church since her arrival here in the US. Danica was retired from St. Mary Medical Center in Hobart with several years of service in the Dietary Department. She loved to sew, garden, and cook. Her grandchildren and great grandchildren loved her crepes “palacinke” immensely. She loved her family very much. She was preceded in death by her husband, Djuro Ostojic; and her parents Stevo and Sara Ladjevic. She is survived by her two children: son, Rade (Nada) Ostojic of Crown Point, daughter, Radmila (Branko) Susnjara of Sydney, Australia; five grandchildren and eight great grandchildren; and many other Kumovi, Prijatelji, friends and family both here and in the former Yugoslavia. Funeral Services will take place Tuesday, September 27, 2016 directly at 10:30 a.m. at St Sava Serbian Orthodox Church, 9191 Mississippi St, Merrillville, IN with V. Rev Marko Matic officiating. Visitation will take place from 9:00 a.m. to the time of service Tuesday at the church. For further information please call Calumet Park Funeral Chapel at 219-736-5840.